Will the Biggest ever mean reversion happens in Gold and Silver? 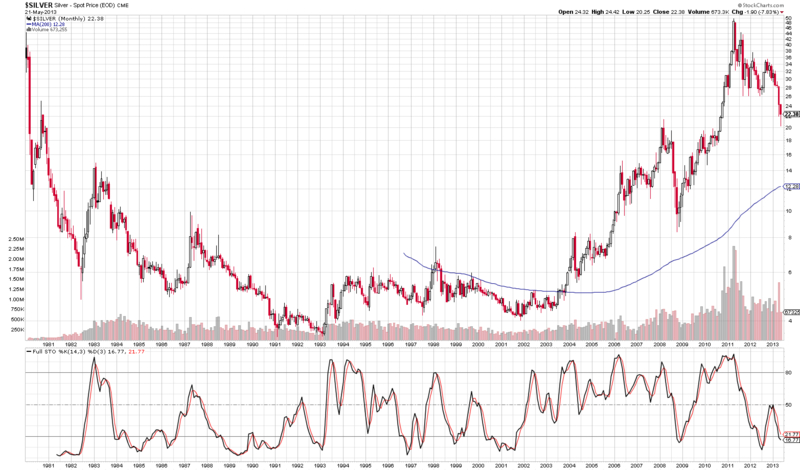 You are here: Home / Commodities / Will the Biggest ever mean reversion happens in Gold and Silver? 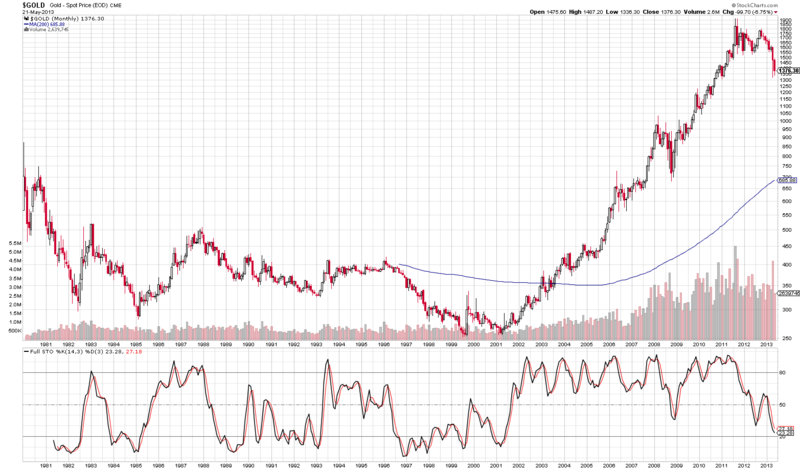 Gold and Silver monthly historical charts are shown with 200MA. Both Gold and Silver had crossed the 200MA during mid of 2003. It is almost 10 years now (i.e 120 months approximately). Now the question comes to my mind is will the Biggest ever mean reversion happens in Gold and Silver? Currently Gold 200 MA $685/ounce and silver at $12.28/ounce. If it is going to happen then mode pain for the long term investors in Gold and Silver. Ofcource you may expect to happen, atleast to reach 100MA in Monthly, as Its already just crossed 200MA in weekly. This can happen in another 3months span i guess. the gold silver ratio is a popular spread to trade. Some historical reasons for the spread: Silver is a quasi-long on the economy whilst gold is the inflation/fiat money hedge. You can trade the intermediate spread but note that the big players sometimes squeeze even at 3-4 s.d’s. For example JP Morgan were known to have exacerbated the spread by always selling silver in size -- creating the imbalance in the ratio. When this trade capitulated it did see mean reversion. If you are looking at this watch the COT report, movements in open interest on the front month and the slope of the curves (front -- back months) to observe the capitulation. Notice where the difference between the spec/non-spec traders and their movements. You can download this COT data plus the other metrics and the conduct regression, lead-lag and factor analysis to be used in concert with your technical’s for timing. THE ONLY WEBSITE IN THE WORLD THAT SHOWS THE REAL PICTURE OF MEX AND THE NATURE OF REAL TRADING I HAVE SEEN YOUR WEBSITE LATE AFTER LOSING HEAVY HARD YARNED MY MONEY . THANK YOU SIR.